Last week, I attended Kevin Kubota’s mini-boot camp here in Minneapolis. During the workshop, Kevin offered a challenge to the 200+ photographers in attendance. He gave a challenge to do an alphabet shoot. 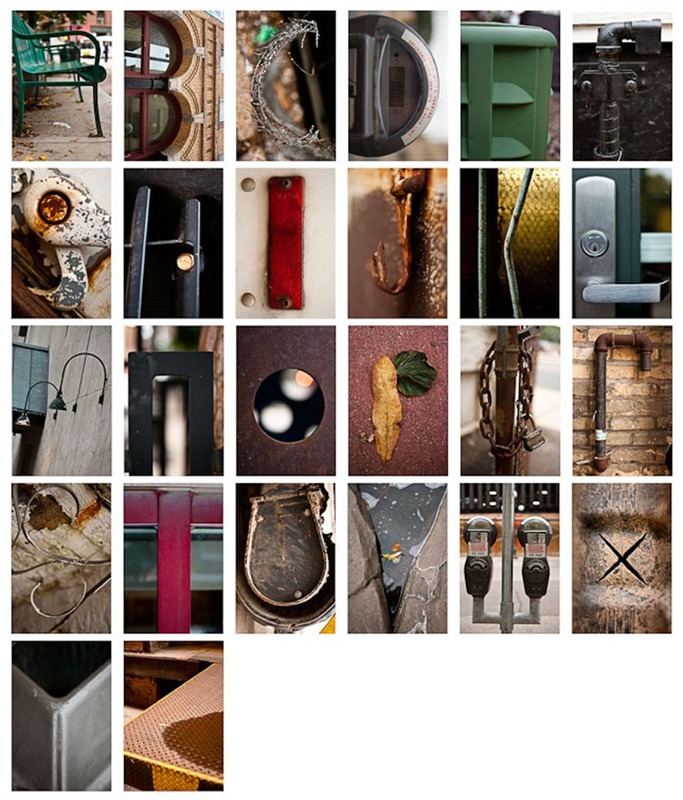 Basically, this shoot involves going out and finding every shape in the alphabet in an abstract form. So last week, I went out and took this little challenge in downtown St Paul. It was kind of fun! Now, here is where I could really use your help…Kevin has been gracious enough to round up about $1000 in prizes to the best alphabet project. I would be happy to win some of this stuff 😉 There have been 17 entries for this contest (my odds are relatively good). All I need you to do is to go here and vote on entry 15 of 17 (that’s mine). 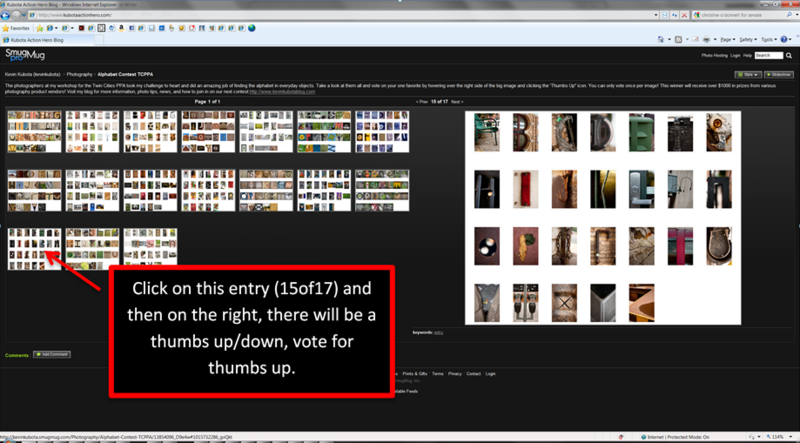 There is no sign-up, you just need to click the green thumbs up for my entry…that’s it and your vote is counted. 2. Click on entry 15 of 17 (that’s mine), hover your mouse to the right on the big version of my entry and click the green “thumbs up”. Here is my entry in a little bit more detail…fun project…give it try and it will change the way you look at things!